I’ve had a few people specifically request this post lately, so I want to share my favorite online fabric resources specifically for home decor fabrics. In my city, and probably many others around the country, brick and mortar fabric stores are disappearing. We still have Joann Fabric, and Hobby Lobby also carries a good selection of home decor fabrics. But Hancocks is going out of business, and our awesome locally-owned store went out of business about two years ago. So with the dwindling number of actual stores, I find myself doing my fabric shopping online about 80% of the time. Shopping online for fabric can be tricky. And for me, it isn’t nearly as satisfying as going into a store, looking at and feeling the fabrics, having it cut right in front of you, and walking out of the store with your fabric in hand. But the great thing about shopping for fabric online is that the options are far greater than anything you would find in your local stores (literally thousands upon thousands upon thousands of options out there! ), and you can generally find a much better price online than you’d ever find locally. That looks like some sort of hideous burnt orange/brown fabric. But in person, the colors are much brighter, and much more coral/orange. Those don’t even look like the same fabrics to me. Or they look like the same fabric in two different colorways. * Once you find a fabric you like, search for that fabric by name and color to find the best price. In other words, just because you found a fabric at Store A and purchased a sample from Store A, don’t just automatically purchase your fabric from Store A. Now that you’ve found your fabric, and have the company name, fabric name, and color name, do an online search for that specific fabric to see of you can find it cheaper at another store. Then you can either ask Store A if they’ll meet that price, or you can purchase from Store B. * Always do a search for online coupons. If you’re ordering from a store like Joann Fabric, and you’re on their mailing list, then you will probably always have a coupon handy. They send them in the mail, via email, and via text. It seems like I never have a shortage of Joann coupons, and while most of them can be used both in store and online, sometimes they’ll send online-only coupons. For other stores, simply do an online search for a coupon for that specific store. * Sign up for mailing lists. I know that signing up for a bunch of store mailing lists can be annoying when they start emailing you every single day. But it’s also the best way to find out about sales. I find it helpful to create a folder in my email account specifically for online stores that I like, and then have their emails sent directly to that folder rather than to my inbox. That way, when I’m curious, or when I need to do some online shopping, I can go to that folder and see if there are any sales that will help me. But that way I can keep the annoying daily emails out of my main inbox. Online Fabric Store: This is, without a doubt, my absolute favorite online store for browsing fabrics. Not only do they have thousands of fabrics, including my favorite brands (Braemore, P. Kaumann, Braemore, Richloom, etc. 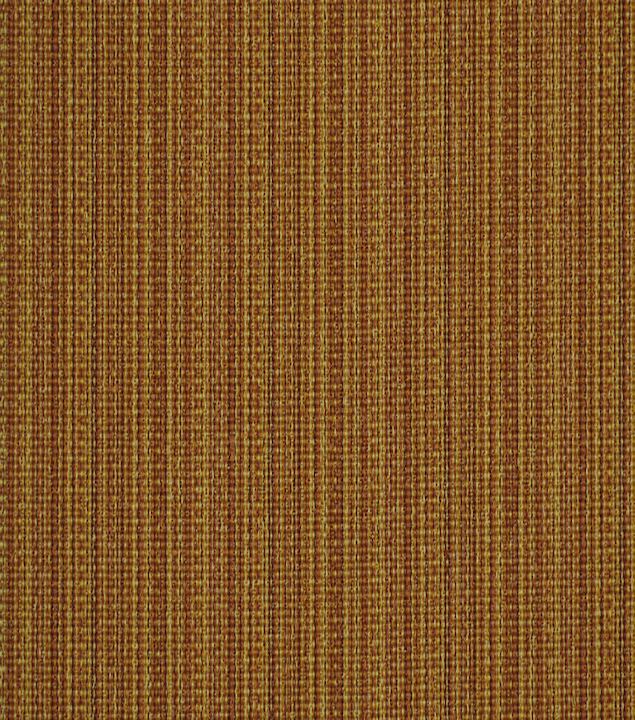 ), and have great search options on their site, but they also have the best photos of the fabrics of any online store I’ve ever come across. They show about five different pictures of each fabric, including one showing the repeat, one zoomed in where you can see the fabric texture, one with the fabric gathered (like it might look for draperies), etc. It is, by far, the best online store for shopping and browsing for fabrics. As far as pricing goes, I find that they have the best prices about half the time. The other half of the time, I end up finding better prices elsewhere. Joann Fabric: If you have a Joann Fabric store in your area, it’s much better to just go into the store and browse their fabrics. But if you happen to find one of their special order fabrics that you want, you can just order it right online rather than placing your order in the store. And again, don’t forget those coupons! You can almost always get their decorator fabrics for at least 40% off (either on sale or with a coupon), but sometimes they go on sale for 50% or even 60% off. I actually just bought my Robert Allen fabric (above) online during their 60% off sale. Fabric.com: This is another huge online store that carries great brands at really great prices. But the main thing I love about fabric.com is that they seem to have the most extensive selection of Premier Prints fabric of any online store I’ve found. I really like Premier Prints because they have quality fabric (mostly 100% cotton decorator fabrics that isn’t too thin, and isn’t too thick) in all kinds of patterns and colorways, and almost all of them seem to be under $10/yard at fabric.com. But of course, they have loads of other brands, too. Mary Jo’s Cloth Store: This store is the online version of a small, locally-owned fabric store. Only it’s not small. And it’s only truly local to those of you in the Gastonia, North Carolina area. (Lucky you!) If you’re in that area, you can enjoy their massive 32,000 square foot store where they also offer sewing classes, quilting classes, and more. For those of us not in the area, we can still benefit from the huge fabric selection and great prices, and their customer service is excellent. I don’t find that it’s the best store for online browsing, but if I know the brand, fabric name, and color that I want, I very often find the best pricing at Mary Jo’s. Hancock’s of Paducah: This is another online store with that small, locally-owned feel. But again…not small, and only local to those of you in Paducah, Kentucky. And to be clear, this store isn’t affiliated with the national chain that’s going out of business. Now to be really honest, I don’t like their website at all. I find it frustrating to use and search for fabrics. (I like online stores that have one main section for Decor Fabric, that’s then broken down into drapery, all-purpose, upholstery, etc., and theirs isn’t like that.) But again, if I know what fabric I want, I can search here and very often find the best price. This is another store with great customer service. Fabric Guru: This store generally has really great prices, they carry many of the major brands, and they have thousands of fabrics. And while they don’t have as many pictures of each fabric as you’ll find on Online Fabric Store (above), the ones they do have are generally very clear and large. The one thing I don’t like about this store (and it’s a minor complain, and really just makes me giggle) is that the first time I happened upon this store, I was SO EXCITED to see that they carry brands such as Schumacher, Scalamandre, and Thibaut. I was hoping for amazing designer fabrics at deeply discounted prices. But they seem to carry the absolute most boring fabrics from each of those companies, and most of the time the selection is minimal for those companies. For example, right now under the Thibaut section, there are three fabrics available, and none of them are exciting at all. They have fifteen selection under the Schumacher category, and most of them are boring solids. But that’s okay, because they’re still a great resource for a few of my favorite brands, and their prices are very competitive. Decorator’s Best: This is another great resource with thousands of fabrics at good prices. They carry all of the standard brands, plus some. I don’t like their pictures, but they do have great search options and samples available on just about every single fabric. And if you really ARE looking for the best price on those really nice designer fabrics (Schumacher, Scalamandre, etc. ), this store has them. You’ll still pay a pretty penny for them, but from what I’ve seen, their prices are pretty much in line with what I pay with my trade discounts (which are generally around 50% of the retail price). Gray Line Linen: If you are looking specifically for 100% linen, this is the place. They have great quality linen, and lots of color choices, and amazing prices. I generally stick with the Barry Linen or Judy Linen (both are great weight for draperies), and they’re both $9.95/yard. That’s an unbelievable price for 100% linen! So those are the online fabric stores that are at the top of my go-to list when I’m shopping online for home decor fabrics. This is by no means an exhaustive list of online fabric stores. These are stores where I personally have purchased fabrics, so I can give you my honest opinions about them, and recommend them based on my own experiences. But there are thousands of others out there. Mary Jo’s is 30 miles from me but sounds like it would be worth the trip.. 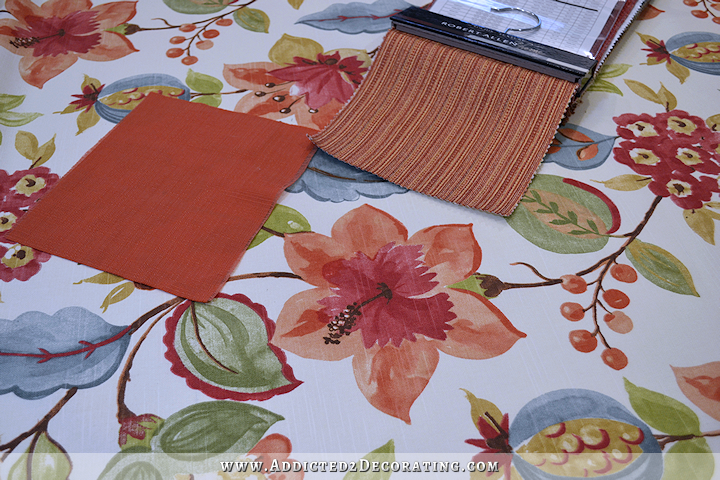 I live in the Charlotte area and always make the trip to Mary Jo’s for decorator fabrics. Word to the wise… pack a snack – you’ll be there awhile! I love Mary Jo’s!!!! I live in Hickory and always stop on my way to Charlotte even if I don’t really need anything. Thank you for all the tips. Our Joann Fabrics closed last fall and the nearest one is 50 miles away. We do have a Hobby Lobby near us but that is it so your online stores and tips will be valuable to me in the future. http://www.warehousefabricsinc.com. Very nice people to deal with. I purchased an animal print & the nice lady steered me to 2 lip cords to go with it so I didn’t have to order samples of those too. Their samples are larger than most. Their cuts of fabric are generous. They’re not really into designer stuff, but I like their site. http://www.decorativefabricsdirect.com Small samples but lots of decorator fabrics at pretty good prices. List LOTS of fabrics but if it’s not in their stock there is usually a 15 yard minimum. I have bought from both these companies & can recommend both, along with fabric.com. As for Joann’s online, even with their sales & coupons, I have found that you can always find the same fabric somewhere else A LOT cheaper. I just don’t bother looking there anymore. Lots of good advice in your post Kristi, especially to order samples. Spend the extra couple bucks so you won’t be sorry after you spent your money. I find that your assessment of Joann’s is true about 90 to 95% of the time. Ever once in a while, they do surprise me, though, especially when they have their 60% off sales. For example, I did an online search for the Robert Allen Run Along fabric, and during their 60% off sale (which ended on Wednesday), they actually did have the lowest price that I could find online. Thanks for the other recommendations! I might start a list in the post under mine with other people’s recommendations. I’ve been shopping some of those sites all week 🙂 But thank you for the new ones that I’d never heard of before! I LOVE when they include a ruler at the bottom of the swatch photo… I click to enlarge, then take a screen shot of as much of the photo as I can…then match it up to my own ruler to get a real-life idea of the scale before ordering samples. Good point. I like the ruler also. Fabric.com is good about that. With the ones that don’t have rulers, they generally do tell what the vertical and horizontal repeats are, so if you browse with a tape measure by your side, you can generally get a good idea of the size of the pattern by visualizing the width of the pattern repeat. Thanks for the list. I knew about most of them from googling different fabrics before, but some are new and I’m excited to check them out. You’ve previously written about Spoonflower . I’ve ordered from them in the past when I was making doll clothes but I’m wondering how well a printed fabric holds up when used for dining room chair seats. Have you used any of their fabrics in a similar application? I’ve never ordered fabric from there, but I’ve thought about it! They have a variety of fabric types and weights, so they have an appropriate fabric for probably any project you could imagine. As far as printed fabric goes, most (if not all) 100% cotton decorator fabric is printed (as opposed to a woven design), and it holds up just fine. I like Fabric.com for small orders. But you have to order at least 10 yards to receive the fabric on a roll. I placed an order for 6 yards recently & it was folded up & shipped in a box. I wanted to make window treatments. Dealing with unfolding all the fabric & needing to iron it all first made me furious. After speaking with their Customer Service I was told 10 yards or more is what they put on a roll. That’s their policy. They’ve lost me as a customer when shopping for drapery fabrics. Kristi did you know that Fabric.com has a no questions asked return policy for up to 30 days after purchase? This way you could avoid buying the swatch if you wanted to. If the fabric doesn’t suit for any reason just return it. I checked their website to confirm this policy. I remember reading another blogger (I think it was Rose Beltran). where she participated in a One Room Challenge and she purchased several yards of fabric as she was not sure which one would work best until she saw them in person. In her case she was able to save time and complete the challenge within the deadline but this could work for anyone too. I had no idea! Thanks for that info. It’s very unusual for a fabric store to take back cut fabric unless there’s a flaw or store mistake with quantity. That’s good to know! Joann’s takes back cut fabric as long as it has not been cut again. Thank you so much for all the information! I truly appreciate you taking your time to pass along to us. I really like Buyfabrics.com too. Great information! Shopping online might actually be better for me because I get drunk on the fabrics at a brick and mortar store. I so love picking out fabrics that go together, and have in the past bought way more fabric for projects than I could ever get done in my lifetime. Is there such a thing as a job being a “fabric shopper” for people?!? I’d probably do it for free, it’s so fun. I’ve also thought about hanging out at our local garden shop and helping people coordinate annuals for their gardens–love all that color! Your tips are great, too. I second the idea about making a shopping folder. Soooo much better than getting all the messages in your inbox. I have shopping folders for art supplies, Target/Penneys/Younkers–all in one, and home decorating. I think I’ll start a fabric folder with your excellent suggestions. I do exactly what you do–ignore them until I have a need, then look in the folder for the most current coupons and shipping offers. Thanks so much for all that information. I get the emails from Fabric.com, but as yet haven’t purchased from them. I’m in Australia and they do ship here. You would think we’d have a lot of online stores of our own, but truthfully there aren’t that many and the ranges also aren’t very extensive. Even when I find a fabric I like (eg P. Kaufman), the price here is so prohibitive, it really is cheaper buying from America and paying shipping charges. Crazy. One problem though, many companies in America won’t ship to us. I’m sure your list will prove helpful. Does anyone wash their fabric prior to sewing it to ensure shrinkage, later, isn’t an issue? I never wash decorator fabric. Pretty much all decorator fabric is supposed to be dry cleaned and not washed. Thanks for replying, Kristi. I’ve found that my upholstered pieces of furniture, (dining chairs, lounges), when they eventually need steam cleaning, tend to shrink, then pull at the seams. I do tend to wash my own curtains and drapes, and not dry clean unless it’s a more ‘complicated’ fabric, and not just cotton. I’ve never understood really, why so many things are said to need dry cleaning. A lot of clothing, for example, states it needs to be dry cleaned, but comes up perfectly well when put through the slow-gentle cycle in the washing machine, with drip dry finish. Many decorator fabrics, especially cotton, have a finish on them that will change the texture or sheen of the fabric if you wash them. That’s why they are usually labeled dry clean or only spot clean. The best way to clean draperies is actually to just vacuum them regularly. Slipcovers, as Kristi mentioned, are meant to be washed so you would just lose that finish, but should definitely prewash the fabric if you know they’ll be laundered. You can never achieve the exact finish on fabrics once washed but there is a product sold in a spray can called Magic Sizing ( next to the spray starch) that helps get some of that crispness back in the fabric. I am never without it, helps get those wrinkles out of folded fabric too. Not sticky like starch. Everyone may know about this but I was surprised that neither of my DILs had ever used or heard about it. I especially love to use it on fabrics that I pre wash then sew. Forgot to say an absolute must for linen. I should mention that an exception would be fabric for slipcovers. That’s generally cotton or linen (or a blend), and the whole point of slipcovers is for easy washing. So that fabric would need to be prewashed and dried. I used to work for a home dec. store (went out of business), and we were connected with fashionfabrics.com. It is a grouping of stores that sell online as well as brick and mortar. I was the “cutter” for the online fabrics, and serviced walk in customers too. We sold tons of fabrics, most were current, but some were discontinued. We were not allowed to roll less than ten yards, and I hated that. We snuck in some fabrics that were less yardage though, because we knew which were difficult to get wrinkles out. Also rolled any upholstery over one yard. My co-worker was charged with photographing all the fabrics. Took a lot of time on her part, and She sometimes forgot to put the tape measure or quarter in to show the size of design. But always had a very good description, and she took the phone calls from customers online. We shipped all over, and were amazed at what one would pay, bottom line, for fabrics and wallpapers! I still like to shop brick and mortar, but am afraid you are right – they are dying out. Biggest issue is not enough people sew anymore. And wallpaper has the same issue. There are now only three factories (I believe) in the WORLD that produce wallpaper, and one is in England and is over 150 years old. Just a little inside info FYI – that I learned about ten years ago when I worked there. Everyone has contributed valuable info to this post. Thank you. Thank you so much for this post! I’ll be referencing it next time I need to buy fabric!